Yesterday I commented that I had added two races to my calendar for 2017. Yesterday, I shared with you the Newport Marathon. 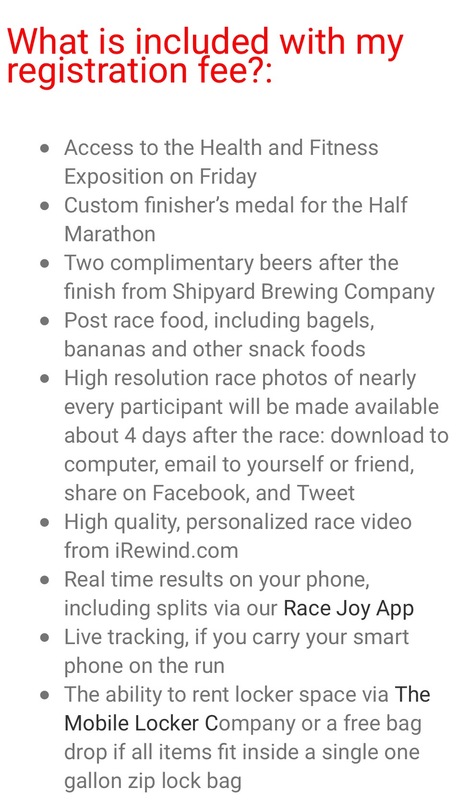 Today, I share with you an old friend…the Shipyard Old Port Half Marathon! I ran this half marathon back in the summer of 2015 – it was the first race that I truly trained for and run (after running the Newburyport Half two months before) and will always remember it for some of the uniqueness it has among the races I have run. So what was my experience with the race? Here is my review on it! In a nutshell, it is a fun run through the old port of Portland, ME and there is a killer hill at the beginning and some very strong sun around the end of the race. Post race, plenty to see and here in theimmediate vicinity and well worth the trip and the run. Also don’t forget you can save 10% with code BibRave10!